Our Biodegradable bike cleaner is specially formulated to be safe and effective on all surfaces such as titanium, aluminium, steel, chrome, rubber or plastic. It is not citrus based so it is also safe to use on carbon fibre as well! I'm interested in the WD-40 BIKE WASH TRIGGER SPRAY product. 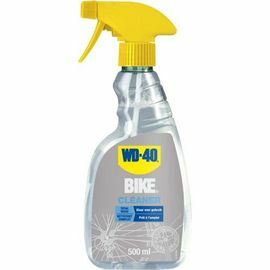 You've added WD-40 BIKE WASH TRIGGER SPRAY to your Favourites list. You've added WD-40 BIKE WASH TRIGGER SPRAY to your shopping basket.